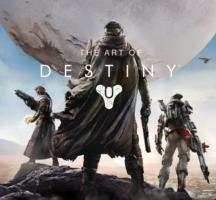 This elegant, collectible book presents the powerful concept art created for Destiny, featuring breathtaking imagery that captures the cinematic feel of its universe. Covering everything from the earliest sketches of the Guardians' armor to dilapidated cities on distant planets, this exploration of the art behind the year's biggest new gaming franchise details the incredible artistic development of each class, vehicle, and planet. With hundreds of stunning sketches, character illustrations, pieces of concept art, environments, and more, The Art of Destiny will explore the game's sweeping world, grand scope, and vibrant visuals.